According to company officials, they hope to achieve cruise speeds of 285 knots, with a range of 1,600 nautical miles. Textron Aviation hopes to have the Cessna Denali ready for the first flight in 2018. 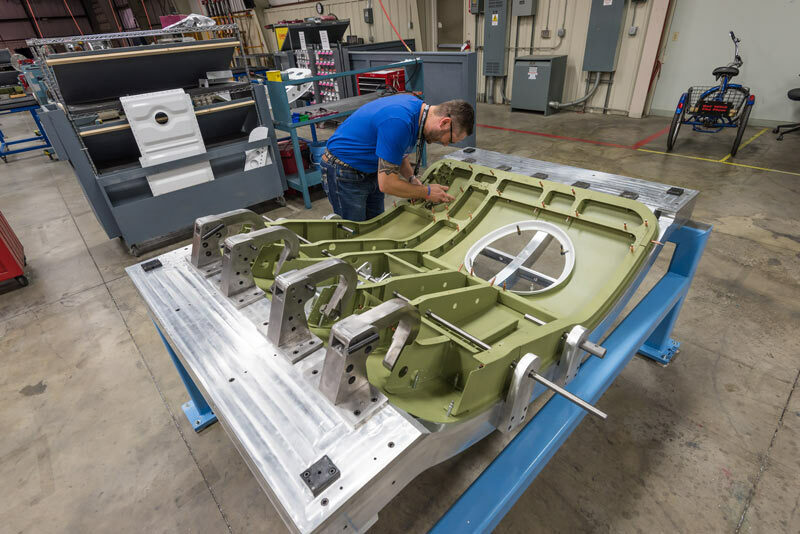 Textron Aviation has begun fabrication on the first test articles for their new high-performance Cessna Denali, a single-engine turboprop. The company says the engineers have started fabricating static and fatigue test articles, in addition to having started testing “with the fuel system iron bird test article.” Testing on the fuel system has already paid off, giving the Denali development team valuable feedback that has allowed them to start fine tuning the fuel system early in the process. The company has also begun fabrication on the Denali door test articles, including the aft cargo door, measuring 53 inches wide by 59 inches tall. They noted that the large aft cargo door would add enhanced capability to the Cessna Denali, especially in the case of special mission operators. Finally, testing is “well underway” on the Denali’s 105-inch, five-blade McCauley composite propeller, with engineers having successfully completed vibration testing, bird strike testing, and propeller test runs at max RPM. According to company officials, the Cessna Denali, powered by an advanced GE turboprop engine, will offer “single-lever power and propeller control” in order to ease the pilot’s workload, a featured that is not currently offered in this class of aircraft. AMETEK has revealed that Cessna has selected them to provide the flap system for the upcoming single-engine turboprop Cessna Denali. According to AMETEK, their flap system will be compromised of “eight mechanical actuators and a flap power drive unit (PDU) for each aircraft.” The PDU’s design will be based on the AMETEK MP50Y Series motor which the company developed for the flap system currently onboard the Cessna Citation Mustang, while the flap actuators being developed for the Denali will be new additions to AMETEK’s expanding line of electromechanical actuators. Mockup of the Cessna Denali in flight, courtesy of Textron Aviation. GE Aviation is reporting that they’ve completed testing designed to validate additive parts being used for an Advanced Turboprop (ATP) engine which will power the Cessna Denali. The ATP, being called an “additive CT7-2E1 technology demonstrator engine” (or a-CT7), features 35% of the parts created through additive 3D printing, or additive manufacturing. According to GE, this will reduce a total of more than 900 subtractive manufactured parts (where the parts are manufactured by cutting away pieces from a solid block of material) to just 16 additive parts. Another benefit of the additive parts being used in the ATP is the expedited certification schedule for the engine. GE is saying they recently completed ATP combustor rig tests six months ahead of schedule, thanks to the faster parts production. GE expects to be able to run their first full ATP engine test by the end of 2017. For anyone interested, GE has provided a video discussing the difference between additive and subtractive manufacturing. Only a year after announcing they were developing a single-engine turboprop with a “clean-sheet design,” Textron Aviation revealed the Cessna Denali to AirVenture crowds today. 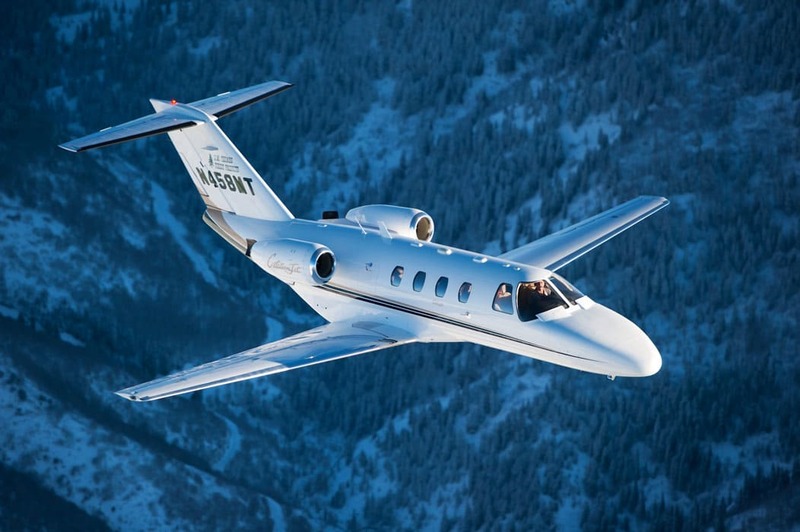 Kriya Shortt, the Senior VP for Sales at Marketing at Textron, had this to say, “The Cessna Denali will enter the market as the superior aircraft in its segment. The Denali is already garnering interest and commitments because of its winning combination of features, including class-leading performance and ownership costs, as well as the widest and most comfortable cabin in its segment, all backed by an unrivaled global factory-direct service network.” She added that the Denali will balance handling characteristics with the enhanced capabilities of a high-performance turboprop, which make it an ideal step-up airplane for piston owners who are ready for increased performance. According to company officials, they hope to achieve cruise speeds of 285 knots, with a range of 1,600 nautical miles. The Denali will sport a composite, 5-blade, constant speed and reversible pitch McCauley propeller with a 105-inch diameter. The airplane will be powered by GE Aviation’s new advanced turboprop engine, rated with 1,240 shp, and designed to provide an initial 4,000 hour time before overhaul. The Denali will come with the Garmin 3000 touchscreen avionics suite, complete with high-res displays and split-screen functionality. The G3000 will include weather radar, advanced Terrain Awareness Warning Systems (TAWS), and will be ADS-B capable and compliant. The airplane will feature a flat cabin floor to offer easier passenger and cargo configuration, and will have a 53 inch wide and 59-inch high cargo door. It will come standard with a six-seat configuration, though a nine-place seating option will be offered. The airplane’s pressurization system will maintain a 6,130-foot cabin altitude at the 31,000-foot service ceiling. In addition, customers will be offered the option of a belted lavatory with a pocket door that will be externally serviceable. “Simply put, no aircraft in this class even comes close to the Cessna Denali. We are confident the Denali will quickly rise as the leader in the high-performance single-engine turboprop market,” said Shortt. Textron is already accepting letters of intent and hopes to have the Cessna Denali ready for a first flight in 2018. The Denali’s price is reportedly being set at $4.8 million, similar to other comparable aircraft in its class. For more details, you can visit Cessna’s website. A mock-up of the airplane’s cabin, along with a mockup of the GE engine that will power it, will be on display at Textron Aviation chalet at AirVenture 2016.